WELCOME HOME!!!! 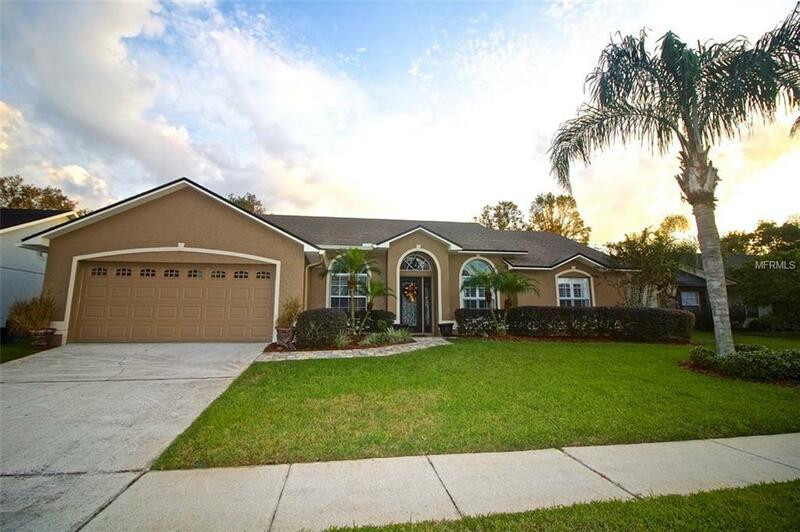 This 4 bedroom 2 bath pool home is located in the much sought after Hearth Place subdivision in Casselberry. As you enter the home thru the custom glass and wrought iron front door you are greeted with a large foyer with custom tile and formal living room. The gourmet kitchen includes Brand New Stainless Stove, Microwave and Dishwasher, Custom Cabinets, Closet Pantry and Bay Window looking out to the patio and pool area. The family room features Custom Tile, Vaulted Ceilings and Sliders to the Enclosed Florida Room with New A/C and Big Windows overlooking the the pool, custom tropical landscaping and large fenced backyard with its own storage shed. Also there is a smaller screened patio area that is perfect for all your pool toy storage. The Master Suite features upgraded Engineered Wood flooring, large walk-in closet with custom shelving and vaulted ceilings. Master bath features include Custom Cabinets, Granite Countertops, and Oversized Shower with Frameless Glass Door and to top it off a deep soaking tub. This home also features split bedrooms that are very spacious, Renovated Guest Bath with Granite Countertops, Custom Vanity and Tiled Shower with Tub. And if that is not enough, the home also features an Office/Den that could also be opened up for a formal dining room. Inside Laundry, 2-car garage Newer Exterior Paint, New Hybrid Water Heater, Brick Paver Entry and more custom landscaping Close to everything including schools, shopping and easy access to all major roads.